Self-Service continues to be a challenging topic for many retailers in the grocery sector. The growth of C-Store chains operated by the multiples has brought Self-Checkouts into a sector that until recently had taken the view that Self-Service was too expensive and too space hungry for the average independent food store. The challenge of competing with this new breed of store is a daunting one. The added problems of increased labour costs through the living wage, and the impending changes to Sunday trading, make the tasks of maintaining local market share whilst maintaining profitability, a major challenge for all retailers in this sector. Fortunately, help is at hand! At the Retail Business Technology Expo at Olympia, SPC will be demonstrating how its Self-Checkout solutions, allied with the latest self-service hardware from NCR, can enable retailers of all sizes to provide an enhanced customer experience for their customers, at the same time as reducing costs and improving staff productivity. In particular SPC will be highlighting the latest development which offers a new type of self-service, targeted particularly at the younger generation of shoppers, who demand fast service, and don’t carry cash. The NCR SelfServ™ 90 is an interactive kiosk that helps you engage customers, deliver relevant product information and promotions, and most importantly, increase sales. Its compact footprint and multiple mounting options give you the flexibility you need to install it just about anywhere in your stores—from a floor pedestal, to a countertop or wrap stand, or even on a wall. Dependable and built to meet NCR’s exacting technological standards, the SelfServ 90 guides shoppers with its easy-to-use interface. 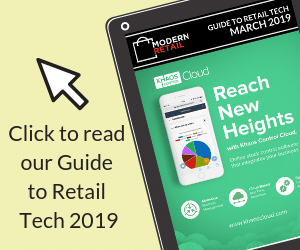 Further, its multi-touch capability enables a “tablet like” experience that supports gesture-based interactions, making it familiar for today’s shoppers, who are accustomed to using touch-screen applications. As an NCR Interactive Premier Solution Provider, SPC International will be exhibiting the benefits of this new technology at RBTE at Olympia, London, from March 9th – 10th 2016, along with a full range of NCR RealPOS hardware, and solutions from their software partners. SPC will also be marketing their portfolio of hardware support services including refurbished EPOS and Barcode hardware from all major manufacturers, service parts, and repair services. If you have legacy EPOS equipment installed, or are looking for more cost-effective ways of supporting your hardware estate, then SPC can provide a range of solutions that can make a difference. Come and ask us a question about Self-Service at RBTE 2016 on Stand 540.